Acceptance of Agreement – By accessing this web site, you are agreeing to be bound by these web site Terms and Conditions of Use, all applicable laws and regulations, and agree that you are responsible for compliance with any applicable local laws. If you do not agree with any of these terms, you are prohibited from using or accessing this site. The latest Agreement will be posted on the Site, and you should review this Agreement prior to using the Site. About Linked Sites – Our website may contain links to other websites of interest for your convenience and enjoyment. However, once you have used these links to leave our site, you should note that we do not have any control over that other website. Therefore, we cannot be responsible for the protection and privacy of any information which you provide whilst visiting such sites and such sites are not governed by this privacy statement. You should exercise caution and look at the privacy statement applicable to the website in question. Disclaimer of Liability – The Website Owner shall not be responsible for and disclaims all liability for any loss, liability, damage (whether direct, indirect or consequential), personal injury or expense of any nature whatsoever which may be suffered by you or any third party, as a result of or which may be attributable, directly or indirectly, to your access and use of the website, any information contained on the website, your personal information or material and information transmitted over our system. In particular, neither the Website Owner nor any third party or data or content provider shall be liable in any way to you or to any other person, firm or corporation whatsoever for any loss, liability, damage (whether direct or consequential), personal injury or expense of any nature whatsoever arising from any delays, inaccuracies, errors in, or omission of any share price information or the transmission thereof, or for any actions taken in reliance thereon or occasioned thereby or by reason of non-performance or interruption, or termination thereof. 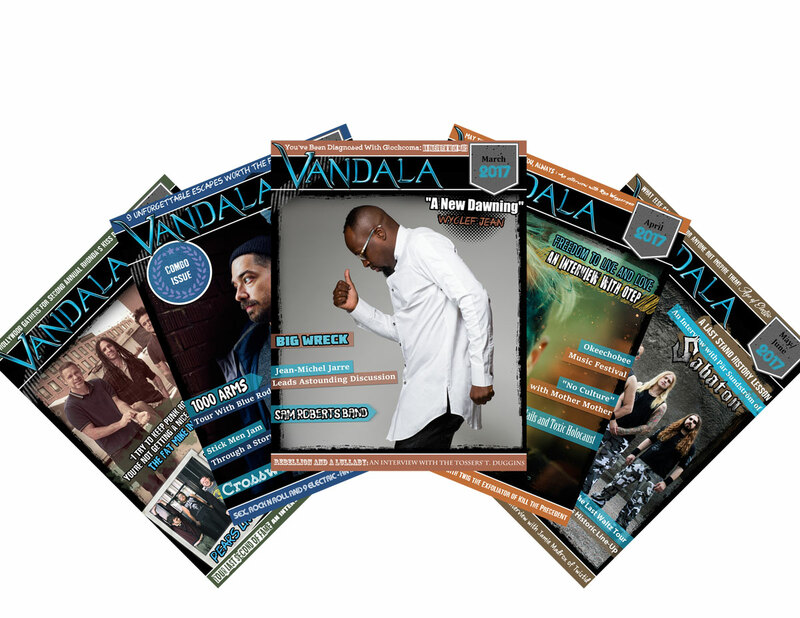 Copyright – All aspects of this web site – music, images, clips, video, design, text, graphics, applications, software, underlying source code and all other aspects – are copyright Vandala Concepts and Vandala Magazine and its affiliates or content and technology providers. In accessing these web pages, you agree that any downloading of content is for personal use, or/and non-commercial reference only. No part of this web site may be reproduced or transmitted in any form or by any means, electronic, mechanical, photocopying, recording or otherwise, without prior permission of the Website Owner.